Rushton Nature Keepers (RNK) is a membership-based club that provides youth (ages 8-12) with unique opportunities to develop a meaningful relationship with nature, which will fuel a lifelong desire to safeguard the environment. 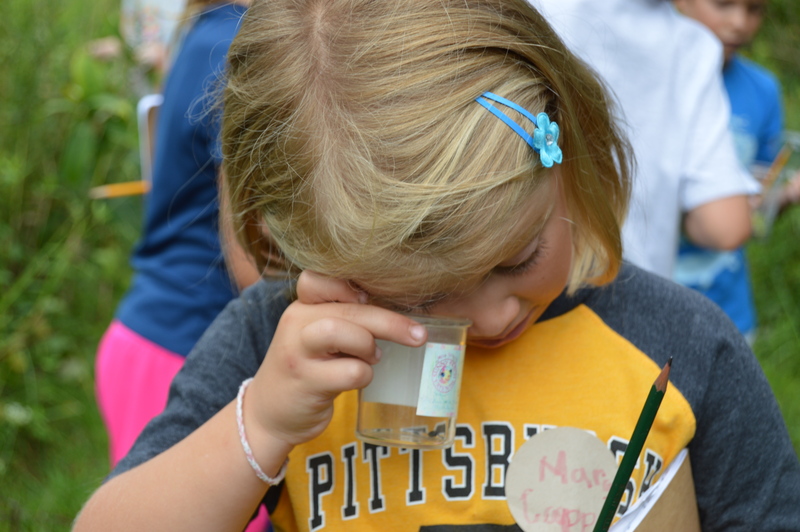 RNK is focused on shaping and empowering these future conservationists while nurturing a spirit of discovery and wonder. We offer monthly programs covering four conservation themes including: birds and wildlife, sustainable farming, watersheds, and healthy habitat. The RNK Mission is to inspire a lifetime of caring about and protecting nature. Learn more about our unique conservation strategy. - Create a conservation ethic by showing the importance of preserving open space. - Connect personally to nature to foster a lifelong respect of the natural world. - Nurture a spirit of discovery and wonder. - Refine birding abilities and cultivate a wholesome lifelong hobby. - Develop observation skills and understanding of science beyond the classroom. - Recognize the connection of wildlife, sustainable farming, and watersheds. - Understand how people can help create and preserve healthy habitat. - Appreciate the origins of the food we eat, the rewards that come from a season on the farm, and how nature and agriculture can flourish side by side. - Demonstrate the positive role humans can play in the natural world. - Foster an awareness of how everyday personal choices can help the planet. RNK Membership is $150 for the first child and $100 for each additional sibling. Membership allows you to register for any 2019 program via the signup portal. Membership includes a t-shirt, reusable water bottle, and nature journal per child. Waivers will be offered on a case-by-case basis (no questions asked) as we do not wish to exclude anyone based on financial need. Otherwise, membership is required to attend events. Parents are always welcome to attend programs. *Please note there are some family events on the schedule that siblings of all ages and friends will be invited to attend at no cost including the Songbird Banding Open Houses (April 27 and September 14), and the Solstice Moth Party (June 21). A Rushton Junior Naturalist Badge will be awarded to Rushton Nature Keepers who attend a total of 2 bird programs, 2 farm programs, 2 water programs, and 2 habitat programs in one calendar year (for a total of 8 programs). They will also be invited to attend the Rushton Junior Naturalist Celebration in November at which prizes will be awarded. Each program will allow time for reflection in a nature journal in which children will receive attendance stamps to document their progress. Each event is designated with icons as covering one or more of the themes (see calendar). Sign-up: All sign-ups and membership payments occur through our Signup Genius site. Only list your children’s names on Signup Genius even if you plan to attend (with the exception of the membership slot) so we can get an accurate attendance estimate for each program. Photography policy: Attendance at Willistown Conservation Trust programs and events constitutes consent to be photographed for use in print and electronic media. Images will not be identified using full names without written approval from the individual. Please notify Trust staff if you would prefer that your or your child's photo not be used. For more information, please contact Blake Goll at 610-353-2562, ext.20 or bhg@wctrust.org. Looking to stay involved beyond RNK? Opportunities exist on a case-by-case basis for children over 12 to get involved. These include service at the farm, working at the bird banding station, helping with watershed study activities, participating in bird counts and stream cleanups, internships or other projects agreed upon with Willistown Conservation Trust staff. To arrange, contact Blake Goll (bhg@wctrust.org). 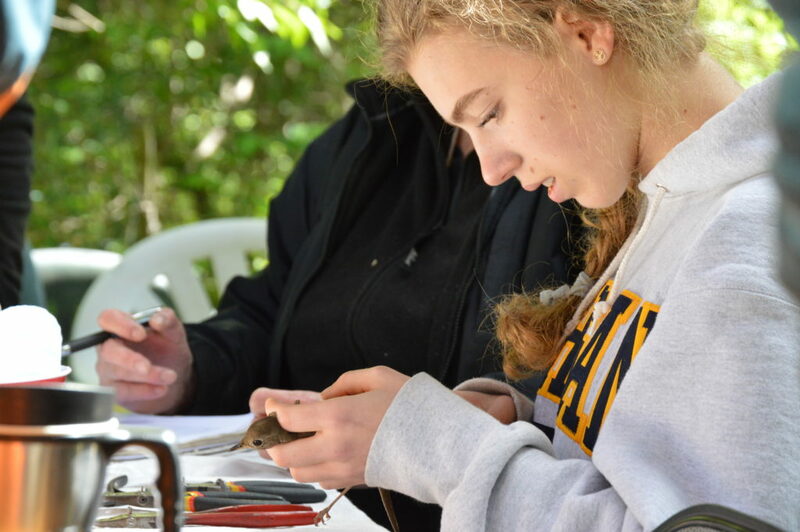 Photo: Eva Dillon-Rutledge began as a Jr. Birding Club member years ago and now volunteers at the bird banding station. She has also volunteered for our Bird Box Program, participated in NJ Audubon’s World Series of Birding and recently attended PA’s Wildlife Leadership Academy).